Now it's your turn! Create something using just these three colors--if you don't have the exact colors, use the closest you have. Take a photo of it, post it to your blog and link it up with us here. Please include our link and challenge photo in your blog post and use a direct link to link up with us (not your blog in general.) Most importantly, have fun! You can read our complete rules on our sidebar. 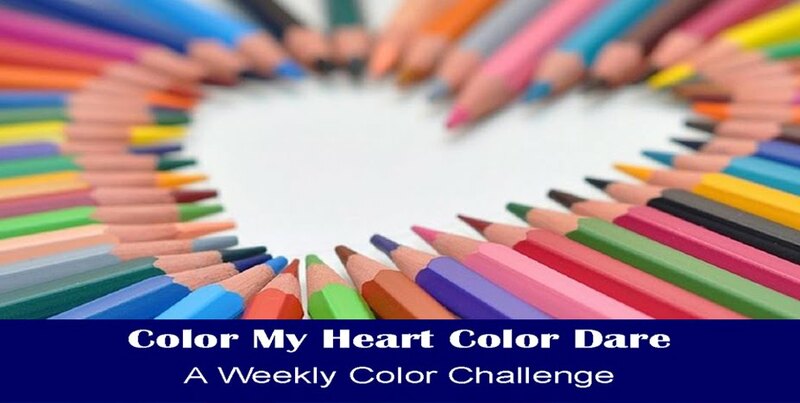 Welcome back to another Color My Heart Color Dare Winners' post! Last week was a neutrals only challenge and we are happy to have such beautiful entries in our gallery. 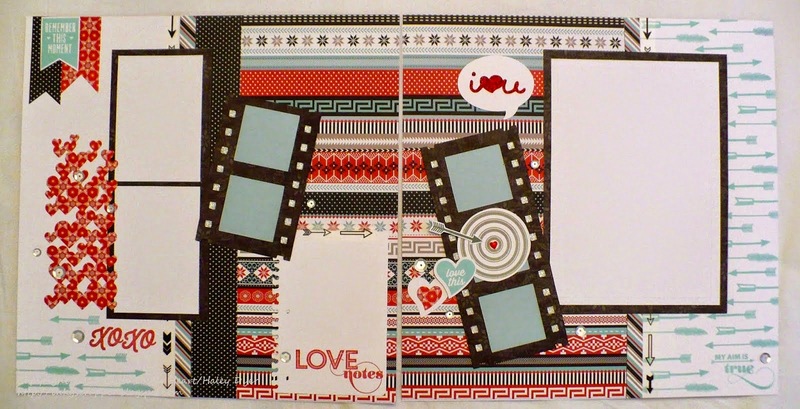 Our Diamond Award Winner is Katrina with her gorgeous vintage scrapbook layout. 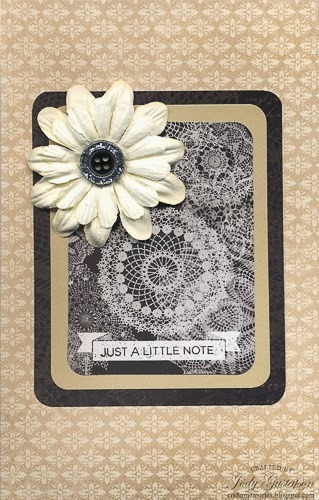 Our Emerald Award Winner is Jody with her elegant notepad cover with PML cards. (Be sure to check out a second photo showing the special pocket inside the cover. Our Ruby Award Winner is Diane with her beautifully decorated mini-album cover. Thank you for sharing your artwork in our gallery and congratulations on your awards. (Be sure to display your winners' blog badges which can be found in the top tab.) 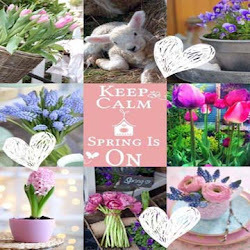 Please visit the winners' blogs and leave them some well deserved blog love. 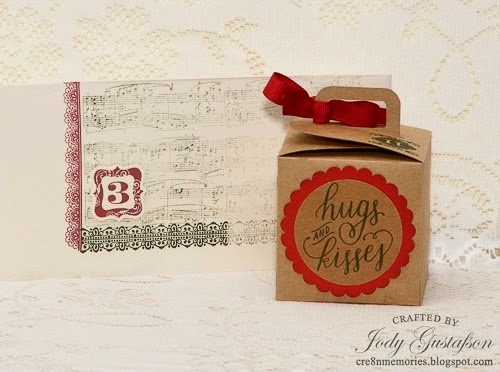 There is still time to enter our current challenge and this one is special because it is the first time we are challenging you to use GLITTER paper! The colors for Color Dare #127 are: Indian Corn Blue, White Daisy, Black and Silver. We hope you will make time to create for this challenge. (If you do not have these exact colors you may substitute similar colors). You can post a direct link to your project by Thursday, January 29 at 9PM CT. We would love to have you join us! Now it's your turn! Create something using these colors - if you don't have the exact colors, use the closest you have. Take a photo of it, post it to your blog, and link it up here with us. Please include our link and challenge photo in your blog post, and only link your post to us, not your blog in general. Most importantly, have fun! You can read our complete rules on our sidebar. 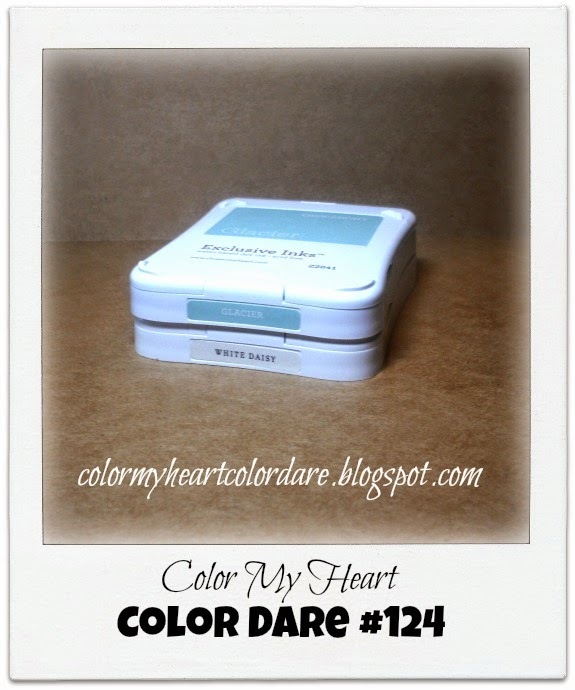 It's time to announce our winners for Color Dare #125. 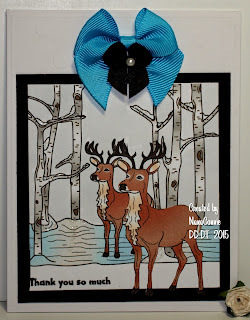 These were the colors from the Snowhaven paper pack and we had some really great entries. The Diamond winner is Haley D. and her nicely detailed layout! The Emerald winner is Katrina B. and her delicious cup of fun! 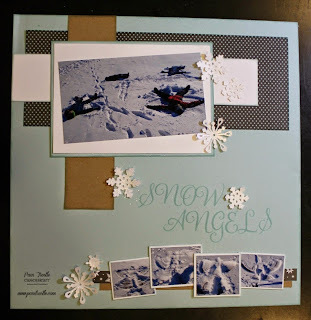 The Ruby winner is Heather Jane and her snowy layout. The Sapphire winner is Arlene and her fun birthday card. Thank you, Ladies! Your talents always brighten our day! Be sure to grab your blog badge from the top of this page. We hope to see more of your creations in our future color dare's. There is still time to join our current Color Dare! 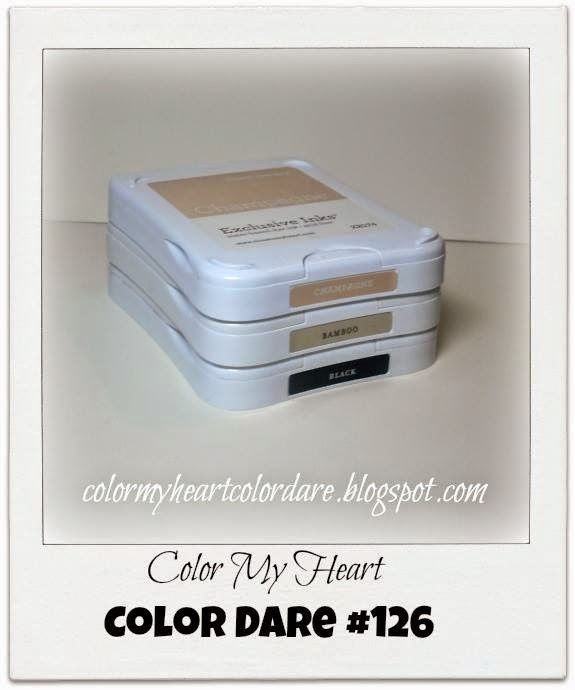 Color Dare #125 features colors Champagne, Bamboo and Black. If you don't have those exact colors use something close. Complete details of how to join are in the sidebar. This color dare closes Thursday at 9:00 pm CST. As usual, you may use white, but don't add any other colors. I'm anxious to see how creative you all are with this one! Please take the time to visit the winners' blogs and leave then some comment "love". Winners--don't forget to grab your badges from the top tab on this page. We are using all of the Snowhaven colors: Cranberry, Glacier, White Daisy, Black and Whisper. You can post your project (doesn't have to be a card) by Thursday, January 15 at 9PM CT. We would love to have you join us! We can't wait to see what you come up with! If you don't have the Snowhaven paper pack, it's ok, just use these colors without the pack. Make a project using the featured colors, and if you don't have the exact colors, just use the closest you have. Take a picture of your project and upload it to your blog. Make sure you link to us in your post. Next, link your post up here. See our sidebar for complete rules. Don't forget to have fun! One last detail to finish 2014. It's time to announce our monthly prize winners for December. And the winner is...... Nana Connie! Congratulations! Please email me at: stamplady@kc.rr.com with your mailing address so we can get your prize in the mail to you. Thanks for joining us at Color My Heart! We hope to see more of your creativity in 2015! Happy New Year! It's time to close out 2014 and announce our winners for Color Dare #123! Thank you to all who participated in our challenges over the holidays. It's a busy time of year and we really appreciate your taking the time to create and share with us! Now... on to the winners! 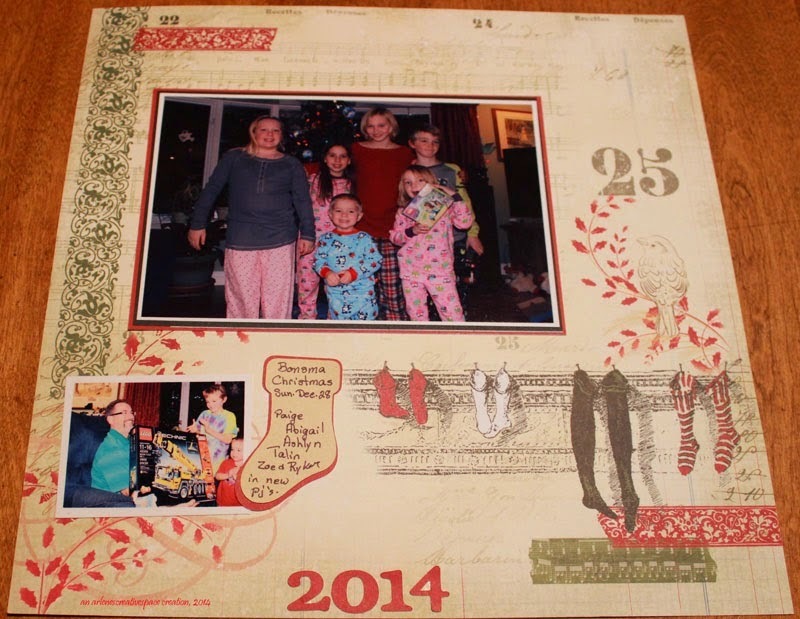 Our Diamond winner is Jody G and her very creative 12 Days of Christmas! 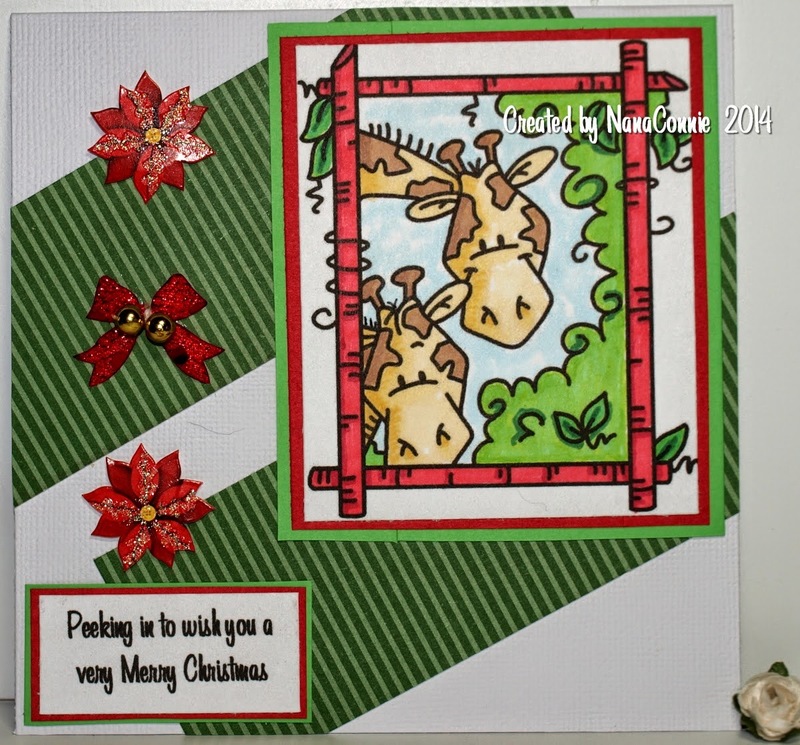 The Emerald winner is Katrina and her beautiful poinsettia card. The Ruby winner is Arlene and her Christmas layout. The Sapphire winner is Debi B and her cute little bird card. Congratulations! Don't forget to grab your badge from the top of this page. Thank you for participating and we hope to see more of your creativity in 2015! There is still time to join us in our current color dare. This week the colors are Glacier, White Daisy and Kraft. Click here to see what the Design Team is sharing. 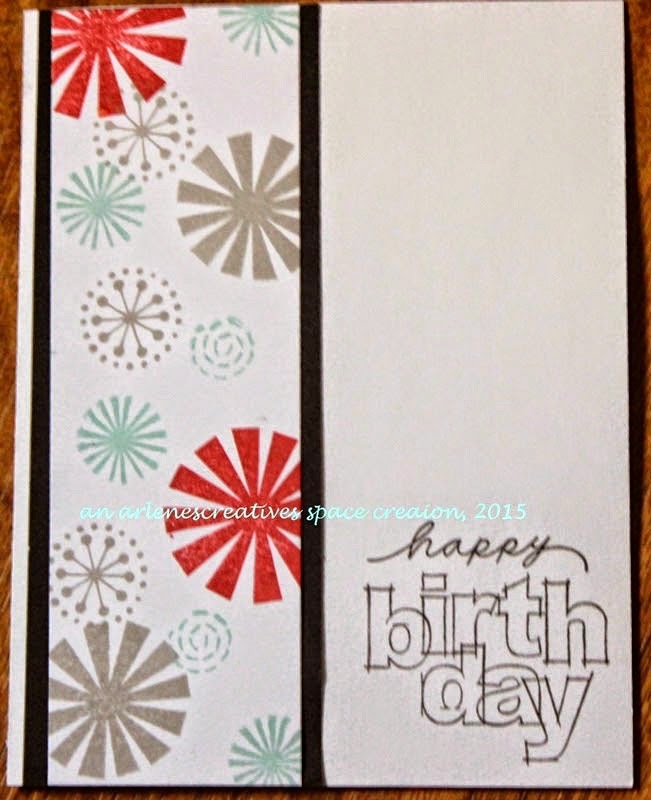 Then get inky and create something to share with us! There has been a change in the color dares for 2015. Neutrals will now be added to the color combinations. You can add black or white unless otherwise stated. 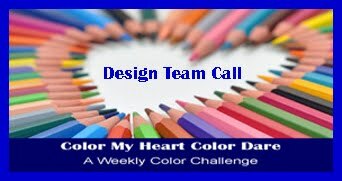 You have until 9:00pm CST on Thursday to join this color dare. Come on.... join us at Color My Heart! It's a lot of fun! Happy New Year, everybody! Welcome to 2015, and welcome to a brand new Color Dare! We have an important change for you this year, and I hope you will love it! CHANGE: I will be adding neutrals to the color combinations this year. That means you may not add random neutral colors to your projects. You must use ONLY the colors specified. However, we will allow black and white, unless otherwise specified. That being said, I think you will really love the combos for this year. I hope you will be challenged, but I hope it won't be too hard for you. Now it's your turn! Make a project using the featured colors. If you don't have the exact colors, just use the closest you have. Take a picture of your project and upload it to your blog. Make sure you link to us in your post. Next, link your post up here. See our sidebar for complete rules. Don't forget to have fun!